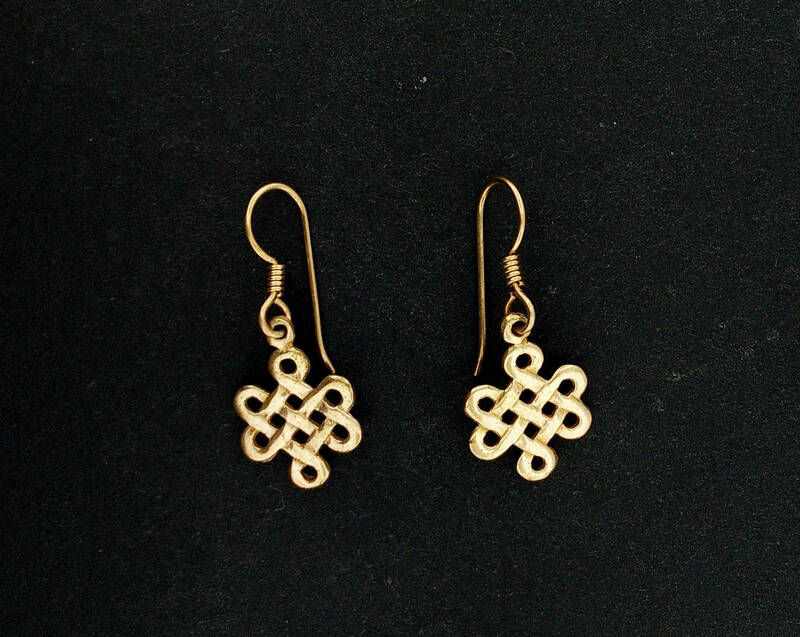 These earrings are a handmade pair of endless knots in antique bronze measuring 1.8cm long and 1.4cm wide. The ear wire are also made in bronze. As a classic endless knot charm used in jewellery, as well as in a bracelet I make, I used a white metal design to copy the pattern and rendered a near perfect copy of it.